Panthers U16 Girls set for Grand Final Action! Home > Blog > Panthers U16 Girls set for Grand Final Action! South Adelaide's U16s girls are set for Grand Final action as the 2016 Macca's Talent Shield comes to a conclusion this Sunday. The Panthers girls have secured a place in their second consecutive Grand Final, after winning all three of their minor round games and finishing top of the Southern Conference. 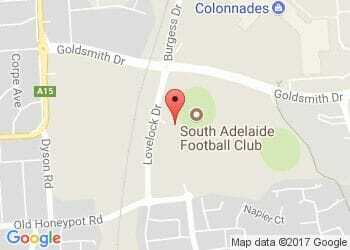 South will face Northern Conference champions Norwood from 1.30pm at Peter Motley Oval this Sunday. The Club's U14s will also be in action from 12.00pm in a consolation play off against, also against the Redlegs. For the past three weeks hundreds of girls across SA have been competing in the Under-14 and Under-16 competitions under Northern and Southern Conferences. More than 350 girls registered for this year's Macca's Talent Shield, with a league-high 65 involved in the South Adelaide program. Panthers SANFL League star Tom Fields has also been working as the Club's Macca's Talent Shield co-ordinator.